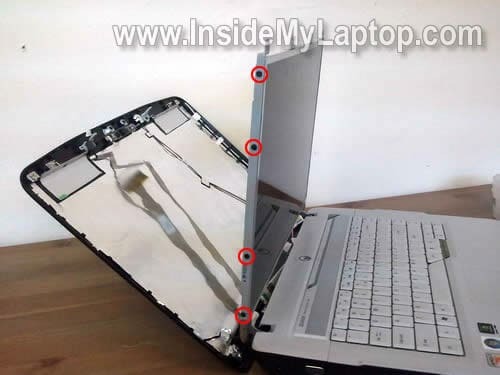 In this guide I show how to remove and replace the LCD screen on an Acer Aspire 5520 laptop. 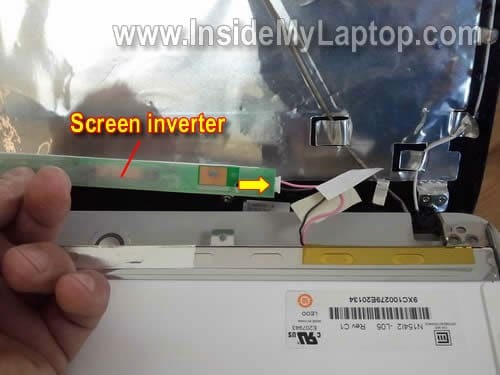 Also, you can use this guide for removing and replacing the inverter board. By the way, in my previous post I explain how to disassemble this model. On the front bezel there are four rubber screw covers. 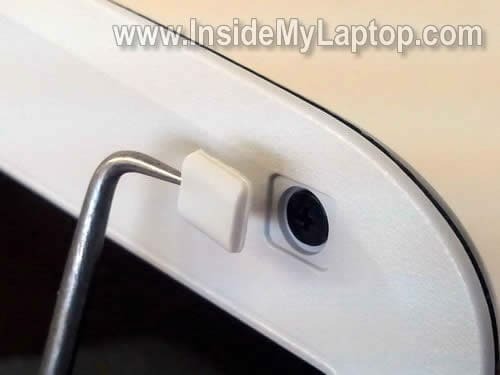 Under those covers you’ll find screws securing it to the display cover. All covers has sticky bottom. You can glue them somewhere so they don’t get lost during the disassembly process. I’m using a guitar pick as a case cracker. Carefully lift it up and separate from the hinge. The inverter board mounted on the bottom of the display assembly. 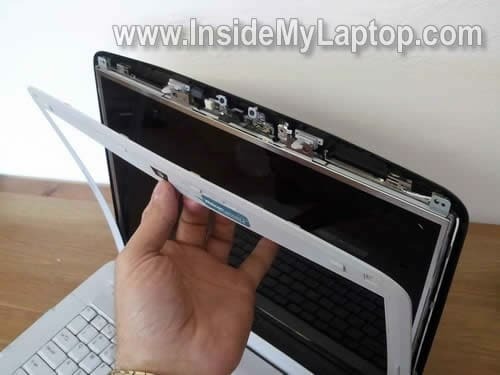 Remove four screws on the bottom. 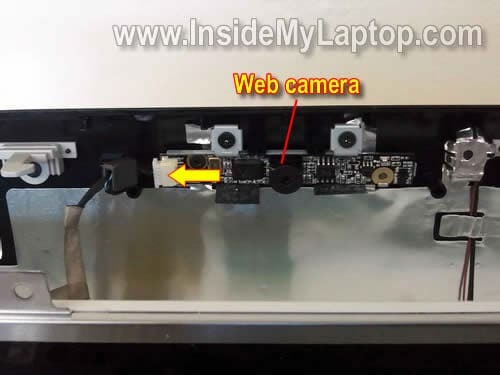 Disconnect cable from the web camera module located on the top of the display assembly. 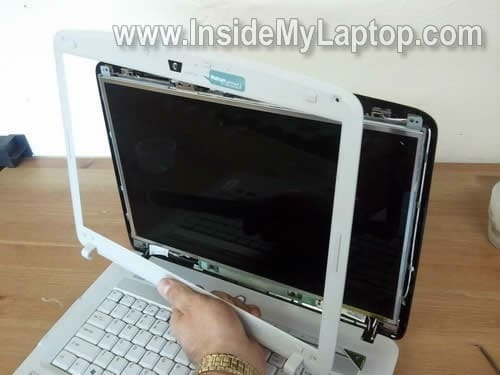 Now you can separate the LCD assembly from the display cover and place it face down on the keyboard. On the back side of the scree you’ll find the video cable. 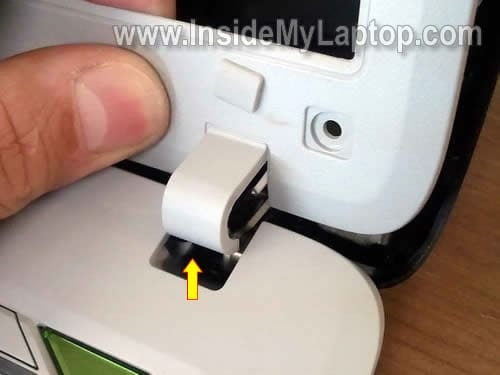 Disconnect one cable from the right side of the inverter. Remove four screws from the right hinge bracket. 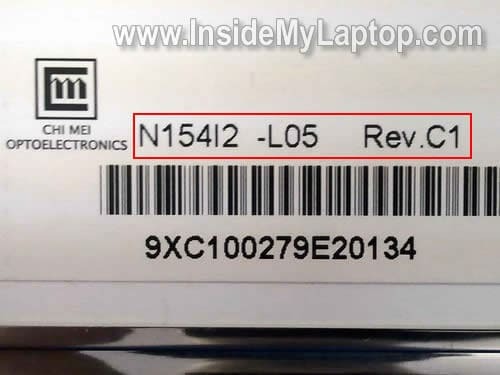 The original screen in my Acer Aspire 5520 was made by Chi Mei Optoelectronics and had the following model number: N154l2-L05. Hello, I really like your site and have used it on numerous occasions. I wondered if you could help. I was given a couple of old laptops that were no longer wanted because people had upgraded and the power jacks had gone. They were Acer Aspire 5630 and Compaq Evo n610c. I dont know if this is coincidence, but both screens at the last time of using were known to work. After removing the broken jacks and soldering in the new ones (successfully) the display would not come on, and in both cases initially would be very dim. I am quite a beginner when it comes to soldering, and as in both cases the inverter is close to the power jack, I wondered if it would make sense that I could have somehow shorted the inverters in both cases? Or maybe it is just coincidence? Any help you could give me for now and for future power jack fixes would be really great. Hi. My sony VAIO laptop, relatively new bought from Canada has suddenly given out. it was on standby the whole night and in the morning it wont turn on instead a white screen glows constantly. i’ve tried turning it off and on again and again but it doesnt work at all. very worried, please help. I need some help, and you look like the right kind of guy! I have an Acer Aspire 5738z – and I’m experiencing some thermal issues. The computer’s hot like hell – and has frequent shutdowns. I’ve tried to access the fan area to clean dust from it(I guess that’s the problem) – but I cannot get to it. It seems like I have to loosen the whole back panel. I’ve loosened all available screws but it’s still stuck. Do you have any pointers? I bet you I could frie bacon on my keyboard – it’s that hot. Anyone got a solution/hint/tip? Please post here or send me an email : mabr16 (at) hotmail.com. I would be very gratefull for any response and help. 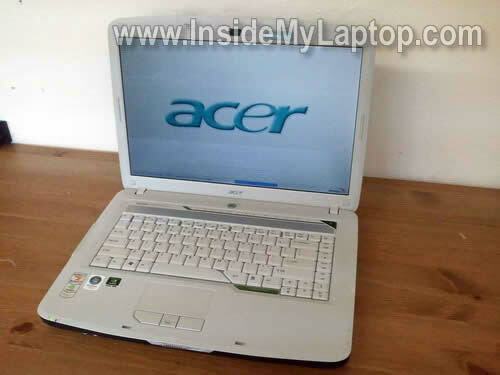 I have an Acer Aspire 5738z – and I’m experiencing some thermal issues. The computer’s hot like hell – and has frequent shutdowns. I’ve tried to access the fan area to clean dust from it(I guess that’s the problem) – but I cannot get to it. It seems like I have to loosen the whole back panel. I’ve loosened all available screws but it’s still stuck. Do you have any pointers? I bet you I could frie bacon on my keyboard – it’s that hot. Anyone got a solution/hint/tip? 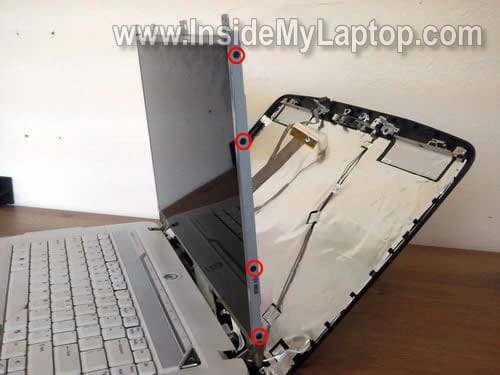 Most likely there are some screws hidden under the keyboard. You’ll have to remove the keyboard first and after that remove those screws. 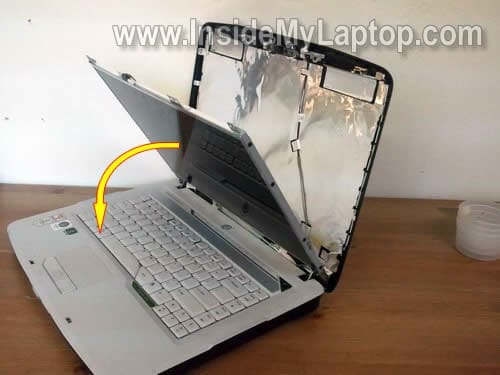 After all screws from laptop bottom and under keyboard removed, you should be able to remove the top cover (palm rest) and access the fan. 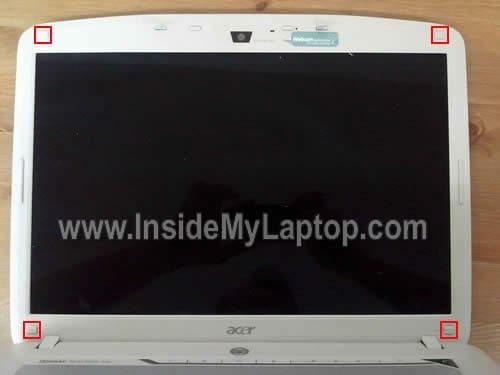 We have an Acer Aspire 2920z with a cracked screen. Where do I buy a replacement screen in order to follow your recipe? You cannot find a new replacement screen on the Internet? Check eBay. 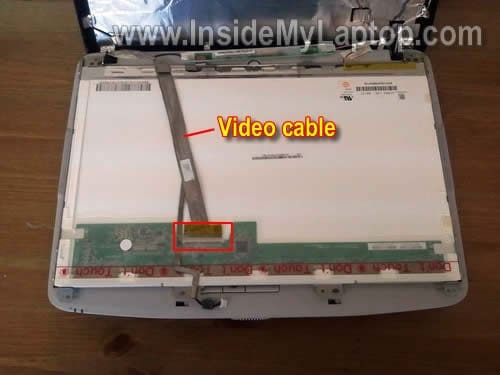 How do I disassemble the Acer Aspire One 532h-2588 to replace the LCD screen? 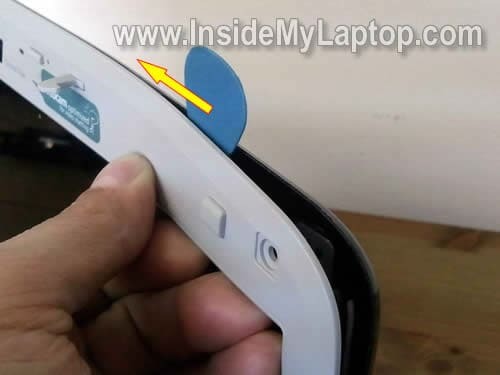 There are no screws in the top secton of the bezel/frame only rubber stoppers. On the bottom of the frame there is 1 screw on each side of the frame. Thank you for this excellent work! Wich of these models is most similar to the Aspire 5741? 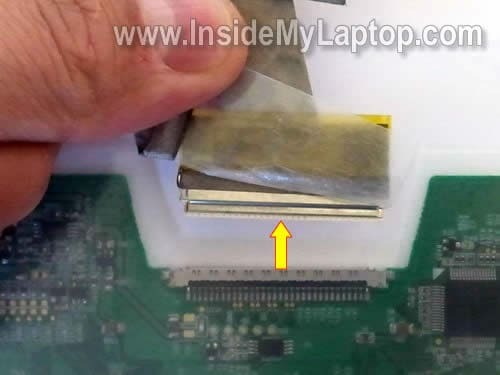 I need to open and clean the Acer Aspire 5741 fan of this unit but cant find a good guide on the net, and here it doesn’t seem to be either Im afraid. 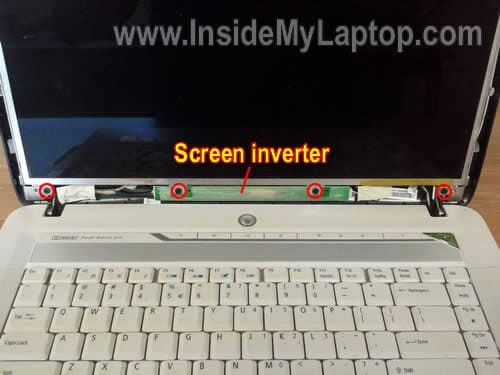 i have a laptop dv5 but when i power it on it started booting and it will show me HP investor on the screen, later on it will not show nothing on the screen, but the system is on. I decided to lose the hard disk drive and put it on another laptop and it booting normal. please what will likely be the problem. Thanks.